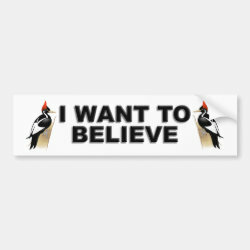 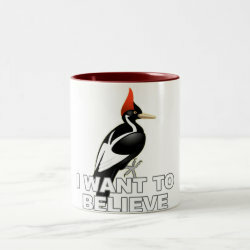 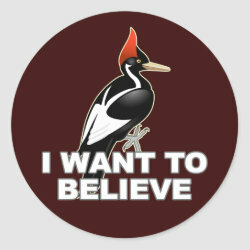 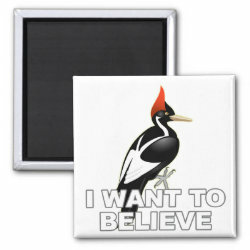 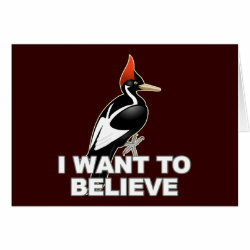 This graphic design was made for anyone who is hopeful about the alleged rediscovery of the Ivory-billed Woodpecker. 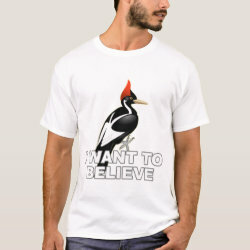 The species was thought to be extinct More... for many years when "rediscovery" was announced but never scientifically substantiated. 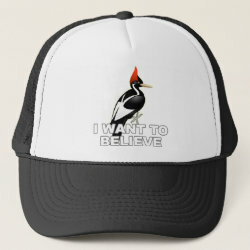 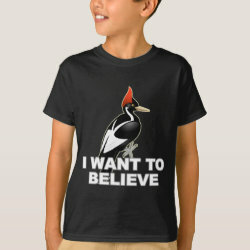 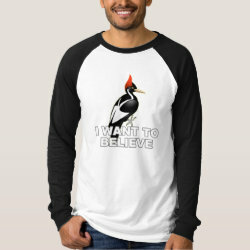 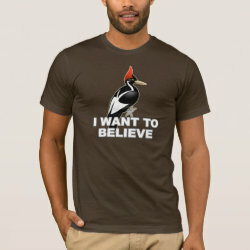 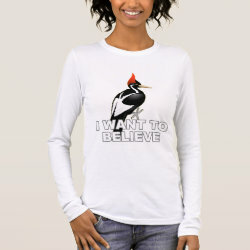 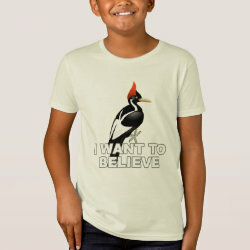 Show your support for the continued existence of the IBWO with this "I Want To Believe" design.